Dec. 5, 2017, 2:14 a.m. Believe it or not… New South Wales’ (NSW) home loan affordability decreased at a slower rate in comparison to Victoria, -1.5% versus -2.0% respectively, over the past 12 months (to June 2017). This is the first time this has happened in 3 years, potentially suggesting a shift in unaffordability in Melbourne and the return of sustainable rate of price growth in Sydney. The PRDnationwide Q4 2017 Key Economic Indicators provide consumers with a quick snapshot of the current state of affairs from an economic and property perspective. 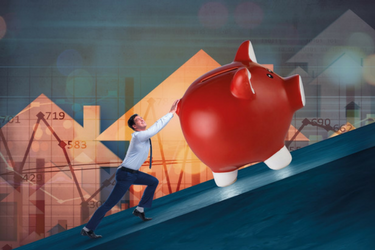 The PRDnationwide Key Economic Indicators cover both national and state level data. Nov. 22, 2017, 1:42 a.m. 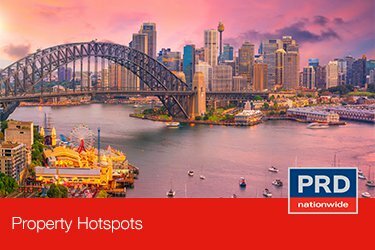 The PRDnationwide Sydney hotspots report analyses all suburbs within the Greater City of Sydney region, providing valuable insights and highlights of the property market for the rest of 2017 and into 2018. Nov. 12, 2017, 11:31 p.m. The Ramsgate Beach property market recorded a house median price of $1,508,000 and $726,250 for units in Q3 2017, representing an annual price change of 1.9% and 12.6% respectively. Over the same period of time house prices in Bayside Council grew by 5.8% to $1,406,500 and unit prices grew by 5.0% to $740,000. Ramsgate Beach house market proves to be a premium market in comparison to the wider LGA. Nov. 8, 2017, 1:28 a.m. The Kingsgrove property market recorded a house median price of $1,345,000 and $675,000 for units in Q3 2017, representing an annual price change of 9.3% and 10.7% respectively. 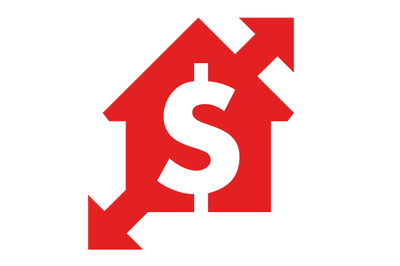 Over the same period of time house prices in the wider council area grew by 13.2% to $1,200,000 and unit prices grew by 5.6% to $665,000. Kingsgrove unit market proves to provide a unique combination of being more affordable yet with higher capital growth when compared to the wider council area, whilst the house market is a premium market with substantial return potential for buyers. Nov. 8, 2017, 1:25 a.m. The Bexley North property market recorded a median house price of $1,385,000 and $666,000 for units in Q3 2017, representing an annual price change of 13.5% and 8.1% respectively. Over the same timeframe Bayside Council LGA recorded a median price of $1,460,500 for houses and $740,000 for units, representing 5.8% and 5.0% price growth respectively. Compared to the wider LGA Bexley North provides a unique combination of affordability and higher capital growth, highly attractive to home buyers. Sept. 19, 2017, 1:43 a.m. The results are in: New South Wales’ home loan affordability has increased by 3.7% over the past 12 months, to 27.7index points. Although still the lowest index reading compared to the rest of Australia, its affordability growth is on par with Queensland (3.6%). The PRDnationwide Q3 2017 Key Economic Indicators provide consumers with a quick snapshot of the current state of affairs from an economic and property perspective. The PRDnationwide Key Economic Indicators cover both national and state level data. Sept. 19, 2017, 12:27 a.m. The results are in: Australia’s home loan affordability has improved by 4.4% over the past 12months, at 32.9 index points in March 2017. The Northern Territory leads the way with 10.2% improved affordability (47.4 index points), followed by Victoria at 6.6% (30.8 index points). 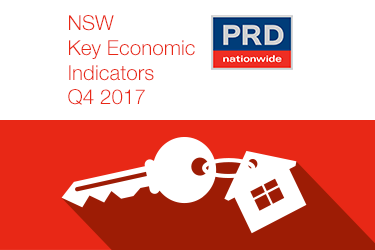 The PRDnationwide Q3 2017 Key Economic Indicators provide consumers with a quick snapshot of the current state of affairs from an economic and property perspective. The PRDnationwide Key Economic Indicators cover both national and state level data. 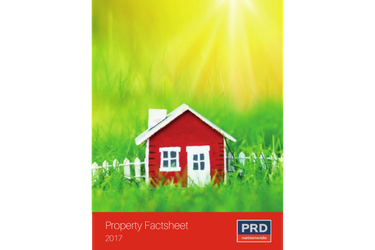 July 19, 2017, 11:42 p.m.
PRDnationwide’s Australian Economic and Property Report 2017 is a comprehensive and important resource for those wanting to keep up to date on evolving key economic and property market trends.